Ready to take the guess work out of mini meals? Holstein makes it easy with this mini griddle set. 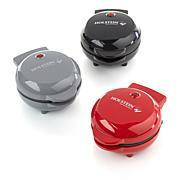 It heats in minutes, alerts you when it's ready to cook and prepares your meal quickly with two-sided cooking. 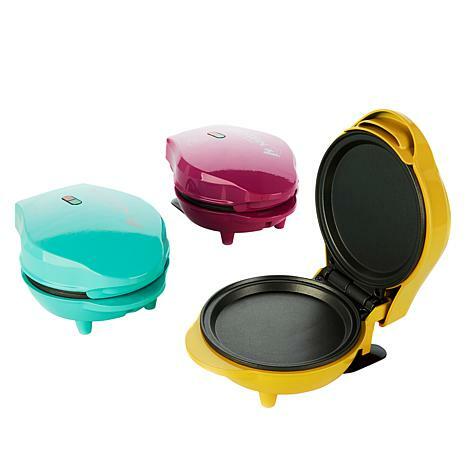 It's perfect for breakfast pancakes and omelets, lunchtime burgers or cookies for dessert. Nonstick cooking plates ensure your food ends up on your plate instead of stuck inside. When it comes to fast meals for one, this griddle set is a no-brainer. Shopping for christmas already. Got all 6 colors. Great buy. So versatile. Who wouldn't love this. 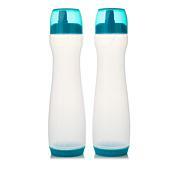 So cute, works great and made great gifts, but I kept one for myself! Use daily for eggs. Easy clean up as compared to frying pan. 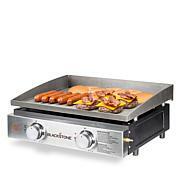 This non-stick electric griddle is perfectly sized to accommodate family-sized portions. 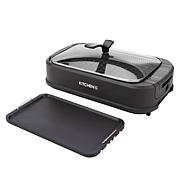 The large cooking surface is great for batches of pancakes, french toast or your favorite fried eggs, yet also compact enough to easily bring on an RV or camping trip.